If you’ve visited us at any of the events we’ve been to in the past several months, you’ve seen our Form 1+ 3D printer sweepstakes. Today, we're excited to announce the winner from our random drawing. Congratulations to Henry Innes, of Cambridge, UK, who entered at 3D Printshow London earlier this year! We caught up with Henry to give him the good news and to find out what his plans for the new machine will be. Thanks very much for making me the contest winner. It definitely came as a huge surprise, and I’m extremely happy that it’s the Form 1+. 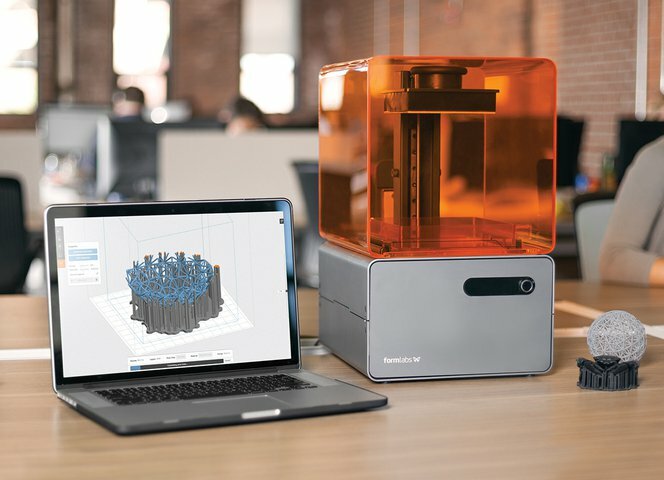 What caught your eye about the Form 1+ 3D Printer? When I visited the 3D Printshow a couple of months back, the Form 1+ was definitely the most impressive home 3D printer displayed throughout the whole show. I was especially impressed with the high level of accuracy that the printer could achieve, something that would be beneficial in my line of work. In the past, I’ve typically used FDM machines to produce prototype components for small intricate mechanical mechanisms. However, I found more often than not, I had to apply various post processes such as fettling or sanding down to the part in order for the components to fit and function sufficiently. How do you see yourself integrating the Form 1+ 3D Printer into your current workflow? I plan to produce smaller components that require higher accuracy and a better surface finish as we do not currently have any in house systems which are able to produce 3D printed parts to the excellent specs of the Form 1+. They also seem ideal to use for demonstrative purposes for clients due to the high quality of parts produced. Are there any personal projects you’re looking forward to trying out? I look forward to being able to produce quick, accurate components that will aid product development work that I may participate in. I chose a clear resin as I find them especially useful while printing manifolds as you can visibly see the fluid paths whilst it is in use. Clear resin also looks especially attractive if you were to print complex lattices and other arrangements. What’s the first thing you’re going to print? The first thing I’ll print will probably will be the CAD image attached, which is essentially a figurine of a mouse head. We’re looking forward to seeing Henry’s work in the future. If you’d like be the first to know about the latest announcements from Formlabs, sign up for our mailing list below, and be sure to check out our events schedule to see what we’re working on in person.